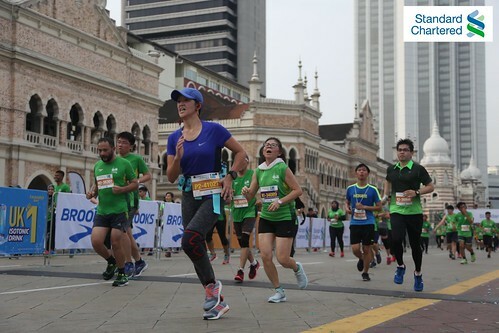 On Sunday 8 April 2018, DH and I ran in the Standard Chartered Kuala Lumpur Marathon (SCKLM). DH completed his first half marathon and I ran an “easy 10km” in the Cruise category. They call it an “easy 10” but I don’t think I will ever find 10km “easy”. I mean, check out that mask of pain. DH, at least, managed to pull a face for the cameras. According to the Garmin Fenix 3, I covered 10.57km. It was also my fastest 10km run since I started wearing the Garmin. Can you believe that the fastest half marathoners completed 21km in less time than this? Yeah… insane. 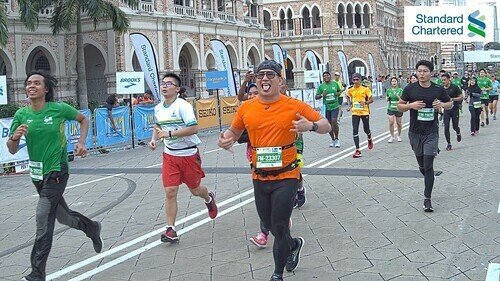 Personally, I’m not too disappointed since I remember taking about 65 minutes to complete the Subang 10km and that was way back when I was almost half my age now. 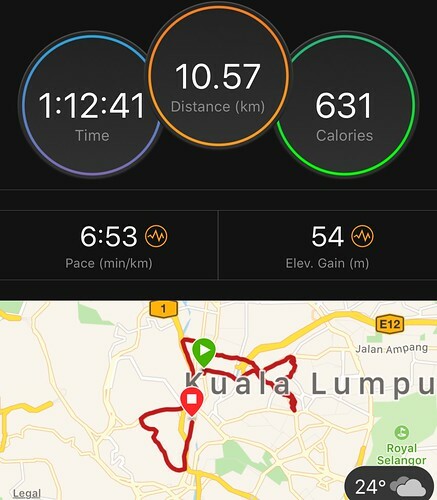 To be able to complete 10km in 73 minutes, or 68 minutes if you follow the 10km distance recorded on my watch, almost two decades later is really not that bad. 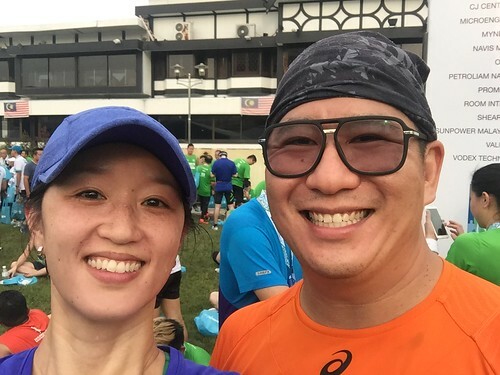 Last year, in September, I ran the IJN 10km run and clocked in at 76 minutes for 10.34km (according to the Garmin Fenix 3). So that’s another improvement since I started running again. The main difference between the two races is the running style. Last year, I ran the entire distance without stopping to walk. This year, I took on DH’s recommendation to use a run walk strategy. Did that contribute to my faster race time? I can’t say for certain. We’ll have to see how I go in the next race. The most noticeable difference was how I felt after the race. Even though my legs were wobbly at the end, they recovered quickly and I didn’t feel as desperately sleepy as I normally do after a long run. Although that could equally be due to the improved nutrition as well as my Sunday training with DH.